This weeks theme, perspective, really made me think outside the square. As usual, I had left it 'til the last minute to capture the shot, so we made do with the backyard and brought out the ladder. 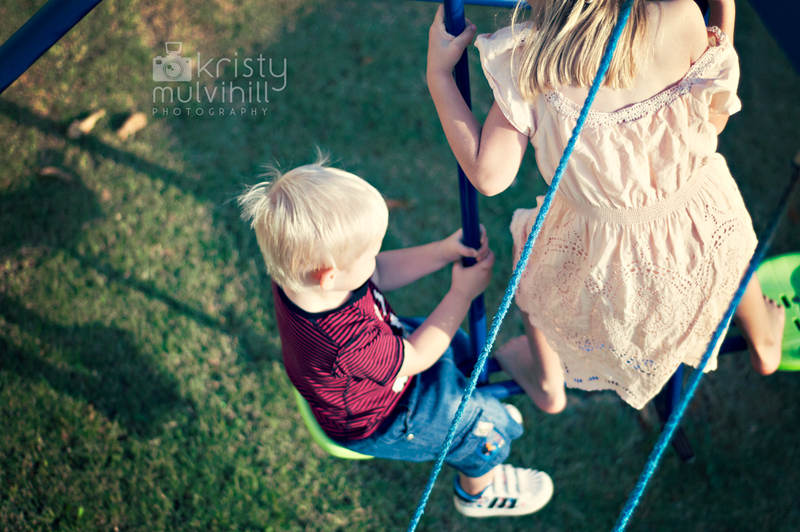 Love having a different viewpoint of the kids playing together!